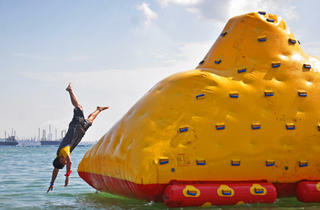 Recapture the excitement of childhood at Singapore's first grown-ups-only outdoor event, where sports meet music. 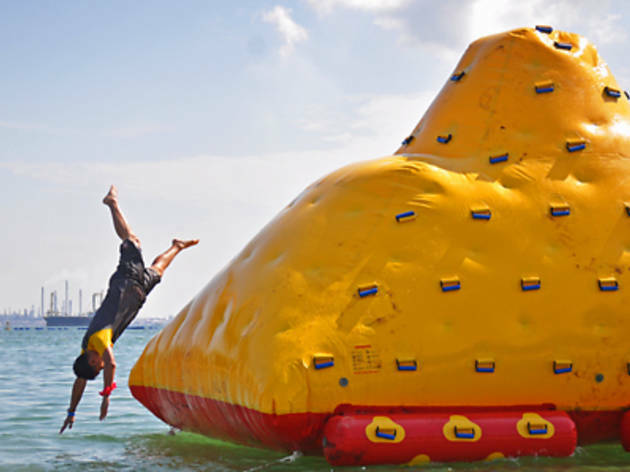 The Adult Playground (only for 22 years and up) boasts a total of 22 games - defy gravity with Mega Bounce, challenge your balance in Slacklining and go for a cooling splash at the Iceberg. Then wind down from the day's worth of exhilaration with food from Travelling C.O.W. and Keberside Gourmet, and music by local artistes The Sam Willows and Jack and Rai. Find out more about Adult Playground here.